NTR plc, a wind energy investor headquartered in Dublin, Ireland has chosen BrightWind for its wind energy assessment needs. NTR plc have multiple wind energy sites in the UK and Ireland and are actively investing in new projects. 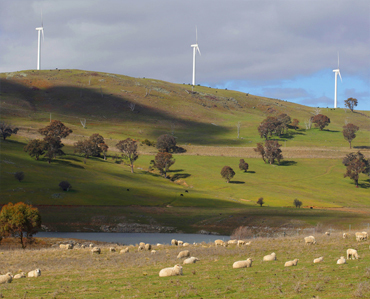 These sites require rapid and economical energy assessment work to inform decision making during due diligence and project acquisitions, wind measurement campaigns, layout design and turbine selection. “NTR plc has a long history in wind development in both the US and Europe and it is testimony to BrightWind’s experience and service that they have chosen us to support them in their wind assessment needs. Our strong customer focus and fast turnaround times are beneficial to developers at all stages of wind energy development,” says BrightWind Director, Shane Martin. This entry was posted in News on June 10, 2015 by Brightwind.